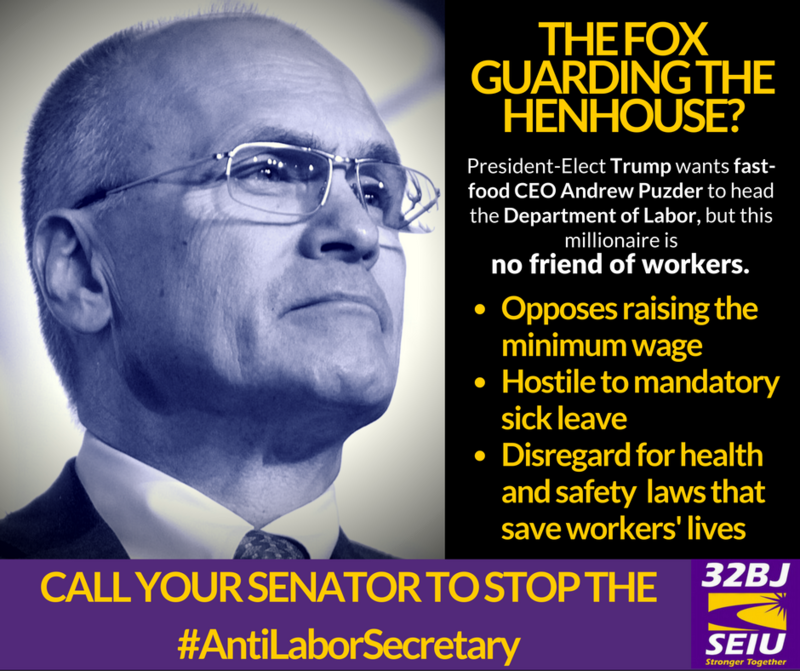 Call your Senator TODAY and ask them to stop the #AntiLaborSecretary! 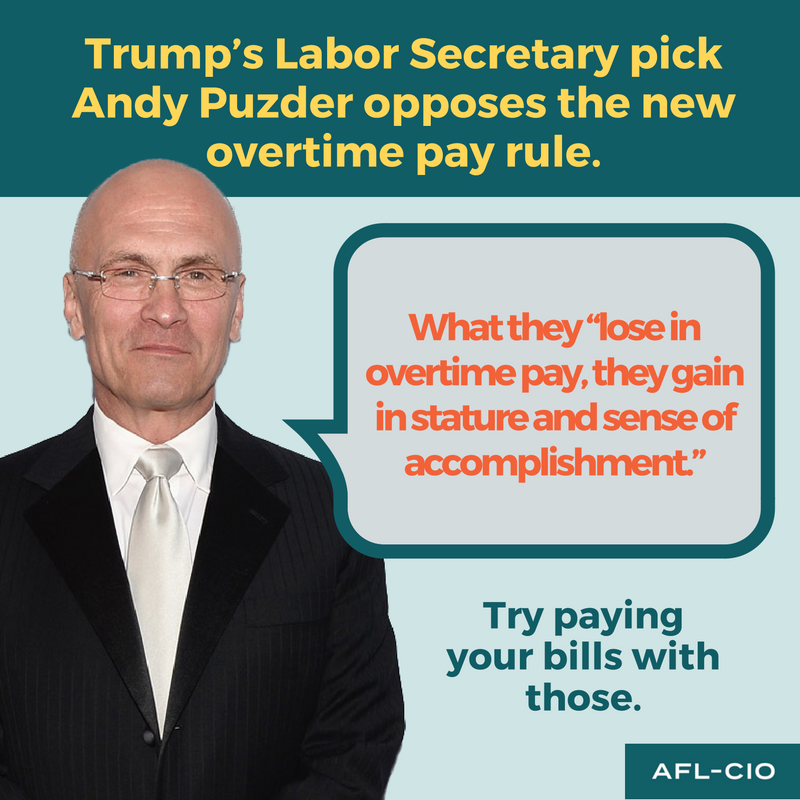 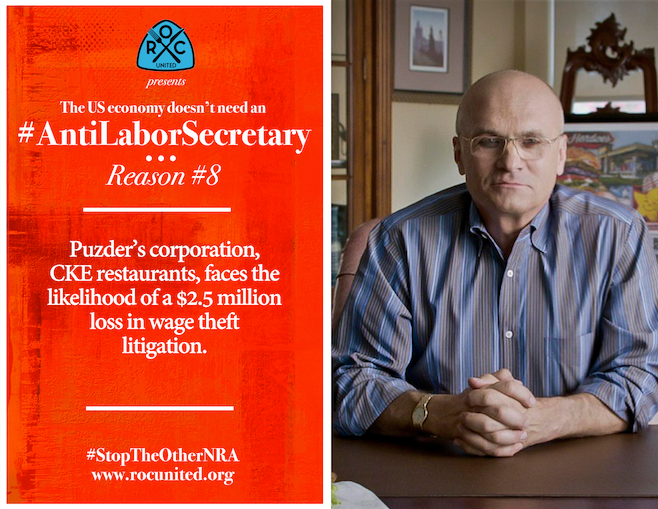 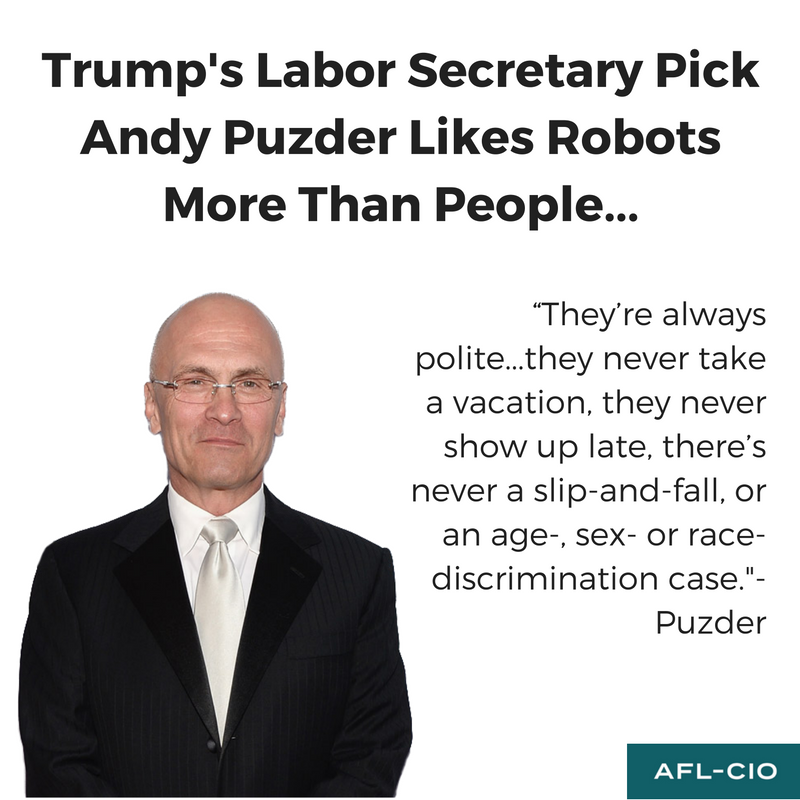 (202) 224-3121Andy Puzder, CEO of CKE Restaurants (the parent company of Hardee’s and Carl’s Jr.) has been nominated for Secretary of Labor. 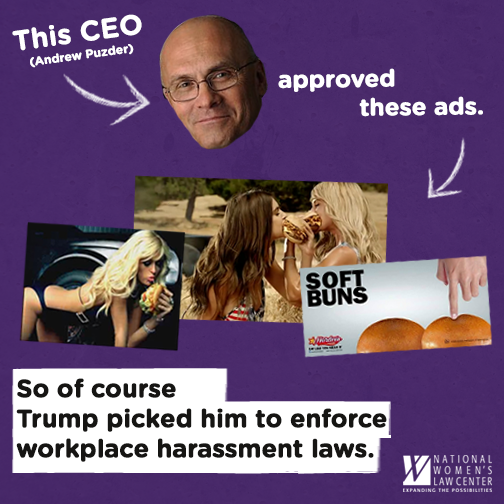 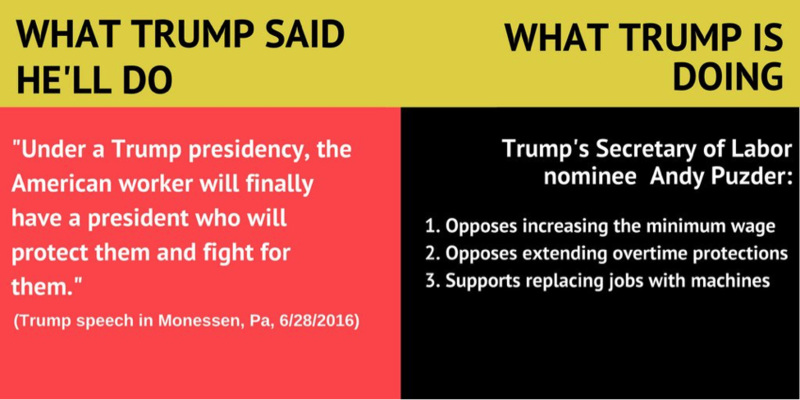 He opposes raising the minimum wage, and his businesses have repeatedly violated wage & hour laws and workplace safety standards. 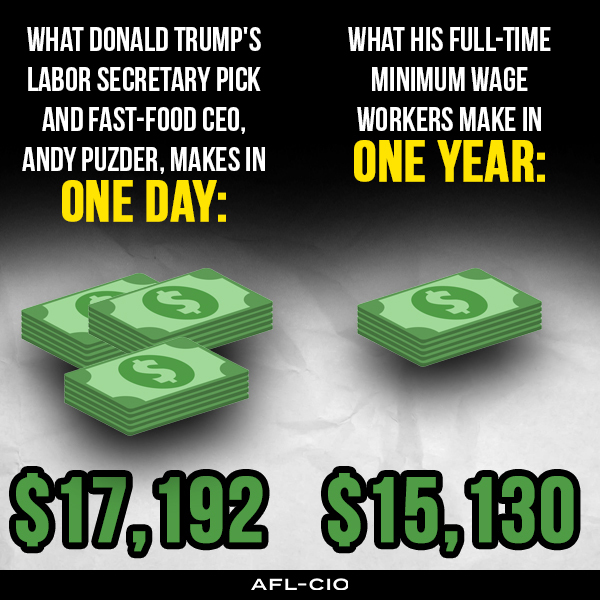 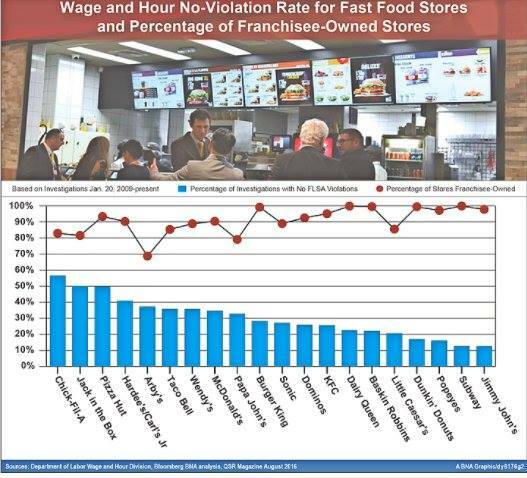 How can this millionaire fast food CEO stand up for working families?